“Suresha…Suresha…Suresha?” the pupil said, his voice at last rising in inflection to indicate a question. Saxon, noticing the student at last, sighed deeply and rose from his mat. He stretched a knot from the muscles in his back and finally turned to the young Intaki. “Thank you,” was Saxon’s only reply before making his way across the courtyard and into the corridor that would take him to the media center. Upon entering the room, he noticed the package had been opened and the holovid was already loaded into the player. He pushed play and took a seat with a good view of the screen. At first the screen was dark, making the sudden appearance of the logo of the Intaki Historical Preservation Society seem glaring to his eyes. “The following is a production of the Intaki Historical Preservation Society,” an unseen announcer proclaimed. The screen went dark once more and then gradually began to fill with tiny points of light. “When early man looked into heavens and beheld the stars, he could scarcely imagine that there were other worlds far from his own, teeming with life. The idea that some of them were the home of other men did not even seem a possibility,” the announcer said. As the camera slowly panned in on one group of stars, Saxon immediately recognized it as the Viriette Constellation. The camera panned in further still and eventually a small ship came into focus. “The first contact between the Gallente deep space exploration vessel Sojourner and the people of Intaki was a surprising experience for all those involved. The crew of the Sojourner had recently finished their survey of several temperate planets including Ostingele VII and Vey II. These planets were full of biological life, but devoid of any civilization. Because they picked up no communication signals (radio or otherwise) they assumed the same would be true of Intaki V,” the narrator continued in an even voice. Onscreen, the ship was descending through the atmosphere of a planet. The ship was an incredible recreation of the Sojourner, which Saxon had seen in a museum while studying at the Federation Naval Academy. “The survey team landed, by chance, in an unpopulated area and set about collecting samples of native flora and fauna. On the second morning of their expedition, the explorers were startled to emerge from their landing craft to find a delegation of leaders from the nearest village waiting for them,” the narrator explained. The natives presented on the screen were a good representation of Intaki culture, Saxon noted. There were three men and two women, all of varying age. Saxon secretly wondered if the actual composition of the original group had been so well mixed. The Gallente crew was entirely male. A cut shot to a space view of the planet showed the Sojourner launching the satellites, little more than blinking orbs. The ship then came about and accelerated into deep space. “The effect on the Intaki people was immediate as it confirmed legends that people existed in both the northern and southern hemispheres. Compared to the knowledge that they were not alone in the universe, this might have appeared to be a small wonder, but it was one of the great mysteries of the Intaki whose planet’s equatorial climates had divided its people for millennia,” the narrator said. A split screen shot showed groups of Intaki huddled around the vox-only communicators, laughing and gesturing in apparent disbelief. Even in pantomime, however, it was clear that not everyone was happy about the discovery. “The revelation did lead to some turmoil as many hundreds of generations apart had created differences in the societies of the northern and southern Intaki. However, because their separation remained intact, physical confrontation was impossible and the diplomatic nature common to both populations of the Intaki prevailed. By the time a full contingent of Gallente diplomatic representatives returned to Intaki five years later, the Intaki people had prepared and united under a single government to represent them in dealings with the Gallente,” the narrator said. The screen now showed the Intaki from the previous scene in the same room sitting with a group of Gallente diplomats. The Gallente group now had a mix of genders, although all of them seemed rather young and attractive in Saxon’s mind. “Anxious to have the Intaki planet as deep space base, the Gallente offered the Intaki people much in the way of technology and training. Within five years of second-contact, native Intaki were serving on board Gallente space vessels. The first Intaki-born captain was given command of a Gallente ship 25 years after that. Seventy-five years after first contact, the Intaki government purchased its own vessels and began exploring neighboring systems,” the narrator continued. Once again the camera returned to a space view of Intaki V, this time showing vessels bearing the markings of the Intaki people launching into orbit before accelerating away from the planet. “In 22889 (in the old calendar) the first Intaki colony, located on Vey II was chartered. Over the next 100 years more than 50 Intaki colonies were created in a dozen different stellar regions. 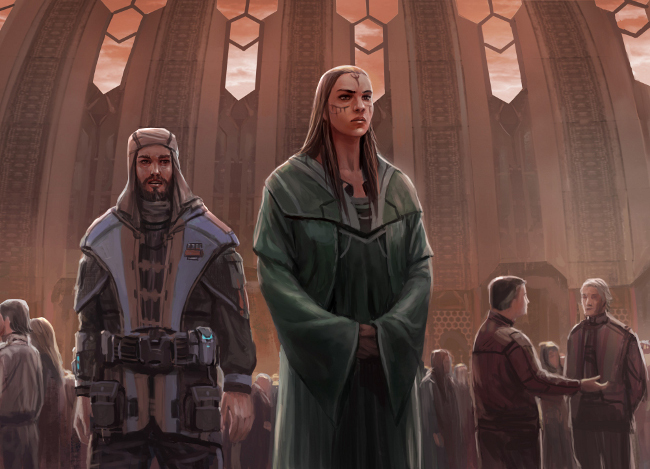 While the majority of these colonies eventually chose to become autonomous of the Intaki planetary government, the colonies located in the Placid Region remained loyal,” the narrator said. Now the screen showed Vey II as it must have appeared prior to the arrival of Intaki settlers. It was a verdant planet, but very different than the jungle-world of Intaki. Mighty oaks and towering conifers dominated the landscape. “In addition to the first colony on Vey II, Intaki expansion also included traditional colonies on the temperate planets of Frarie VI, Frarie VII, Harroule IV, Brarel II and Ostingele VII as well as domed underwater colonies on Annancale VII and Agoze V. The Intaki planetary government also staked a claim on the Eugales System, which lacked an inhabitable planet but contained rich ice fields,” the narrator said while the screen showed a montage of images from the various colonies. “In accordance with Intaki traditions of self-reliance, the colonies in the Placid Region were left to handle their own affairs for matters that dealt with their individual planetary operations and, as a result, various forms of government took shape on them. These ranged from the anarcho-syndicalist commune of Brarel II to the monarchy of Frarie VII. Regardless of their planetary government, each colony was allowed to send representatives to serve as part of what grew out of the original Intaki unified planetary government,” the narrator continued. Saxon noted with some interest that the filmmakers had chosen to gloss over the fact that several of the colonies, including Frarie VII had suffered through civil wars in the early stages of their development. In fact, the war between the Harroule colonists had been so disruptive that the colonial self-rule policy had been brought into question. “This larger governmental structure was designed to handle issues related to outer space or those that affected the colonies uniformly (such as on-going relations with the ever-expanding Gallente empire). Each colony was allowed two representatives in the Rajya Sabha and a number of representatives in the Lok Sabha proportional to their populations. These legislative bodies then elected from their own membership a Council of Ministers and Prime Minister to serve as an executive body. The various ministries included such areas as trade, defense, health, astral mining and tourism,” the narrator explained as the screen showed archive footage of the construction of the Lok Sabha’s meeting hall. “The Prime Minister was also responsible for the annual selection of the Council of Judges, a group of 12 colonial representatives who also served as a supreme court for the Intaki colonies. The two legislative houses, along with the Council of Ministers and the Council of Judges were known collectively as the Intaki Assembly,” the narrator said. The images on the screen continued to include archive footage of video taken from old sessions of the Intaki assembly. Saxon was somewhat embarrassed to realize that he could not identify by sight any of these founding fathers and made a mental note to emphasize history lessons when next he spoke with his children. 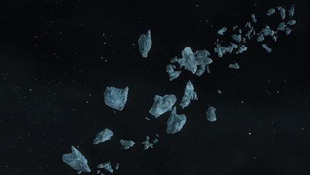 “When the Gallente proposed the creation of the Federation joining the Gallente with the Intaki, Caldari and Mannar, the Assembly debated the matter for a period of 18 months. In the end, the Assembly voted narrowly to join the Federation, surrendering its sovereignty to the Gallente central government. 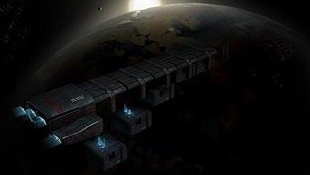 The shrewd negotiators among the Intaki contingent did ensure that certain aspects of autonomy remained intact and the Assembly’s original structure remains today – although it has no authority to act outside the confines of its nine-system territory,” the narrator said as the screen once more showed a map of Intaki and other nearby star systems. As the video concluded, Saxon sat reflecting over its contents. The Historical Preservation Society was looking for his blessing to distribute the video. With Federation Day festivities to take place just a few days later, Saxon was somewhat reluctant to do so immediately, however. Finally coming to the conclusion that those opposed to the Intaki movement would likely write the production off as “revisionist garbage” anyway, he jotted down a few notes and included them in a transmission to the preservation society giving the video and its contents the approval of the Intaki Liberation Front.